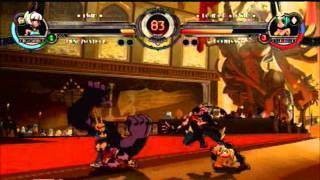 FightVG's own Munoz is hosting a Skullgirls stream and he's not alone. Watch the live stream and engage in the chat inside. The answer is now (June 5). FightVG.com's Munoz is streaming Skullgirls right now. He is joined by top Ultimate Marvel vs. Capcom 3 player NinjaLink and well known Super Smash Bros. Brawl enthusiast, Dekillsage. D. Viper is also in attendance. The players are providing commentary for the matches. Below is the live stream and chat embedded.